Here is another example of why it is important to speak to an ACF affliated chef. 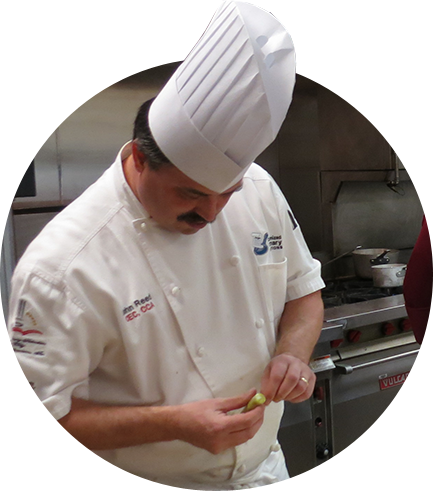 John Reed CEC, CCA, ACE and Customized Culinary Solutions is listed in the Chefpertise Guide. John Reed is a professional chef with over 30 years experience. John has extensive knowledge of culinary techniques, ethnic cuisines, food history and more! Tell us what’s in your way. We’re happy to provide a free consultation—zero strings attached.